Documentary telling the story of Carole King's Brooklyn upbringing, her songwriting success with Gerry Goffin, her time as an LA singer-songwriter and her more recent eco-activism. 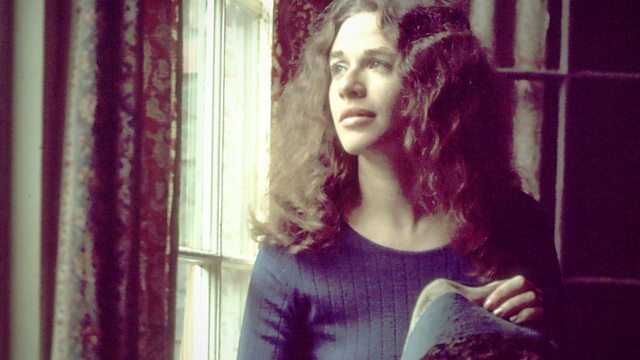 Documentary telling, in her own words, the story of Carole King's upbringing in Brooklyn and the subsequent success that she had as half of husband-and-wife songwriting team Goffin and King for Aldon Music on Broadway. It was during this era in the early 1960s that they created a string of pop hits such as Take Good Care of My Baby for Bobby Vee, The Locomotion for Little Eva and Will You Love Me Tomorrow for the Shirelles, which became the first number one hit by a black American girl group. They also wrote the era-defining Up on the Roof for the Drifters and the magnificent Natural Woman for Aretha Franklin. By 1970 Carole was divorced from songwriting partner Gerry Goffin and had moved to Los Angeles. It was here that she created her classic solo album Tapestry, packed with delightful tunes but also, for the first time, her own lyrics, very much sung from the heart. The album included It's Too Late, I Feel the Earth Move and You've Got a Friend and held the record for the most weeks at number one by a solo female artist for nearly 20 years. It became a trusted part of everyone's record collection and has sold over 25 million copies to date. The film features some wonderful unseen material and home movies, and narrates her life as an acclaimed singer-songwriter. To date, more than 400 of her compositions have been recorded by over 1,000 artists, resulting in 100 hit singles. More recently, in 2013, Carole was the first woman to be awarded the prestigious Gershwin Prize for Popular Song by the Library of Congress for her songwriting, whilst in 2014 Broadway production Beautiful, which tells her life story during the Goffin and King era, has received rave reviews. Nowadays Carole King would see herself as an environmental activist as much as a songwriter, and she is to be found constantly lobbying congress in defence of the wildlife and ecosystems of her beloved Idaho.